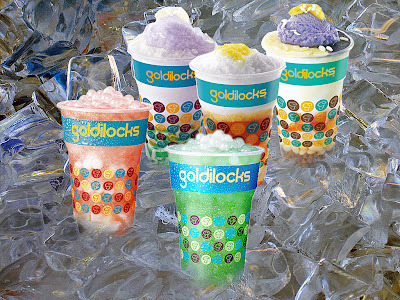 Everyday is always an exciting day to try new things. 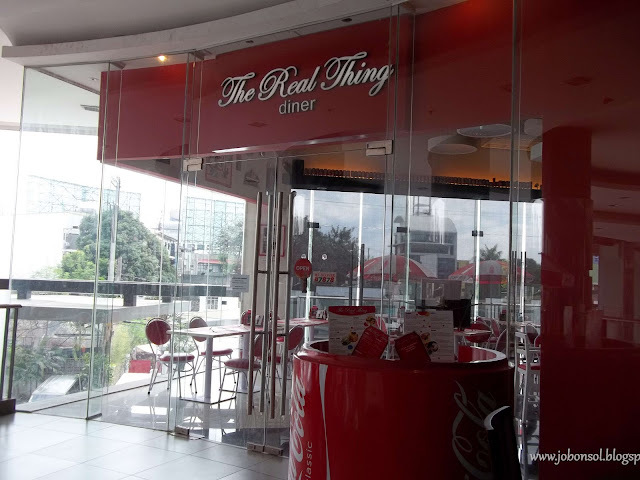 Yesterday after the professional meeting of school paper advisers, I've thought of my father and the idea to divert stress from different issues among school paper advisers so my friend and I tried this unique concept restaurant inspired by Coca-Cola company, The Real Thing Diner. It was just a few minutes away from the place I had to finish an errand for my students. The Real Thing Diner was conveniently located at the second floor of Il Terrazo's Mall in Tomas Morato, Quezon City. 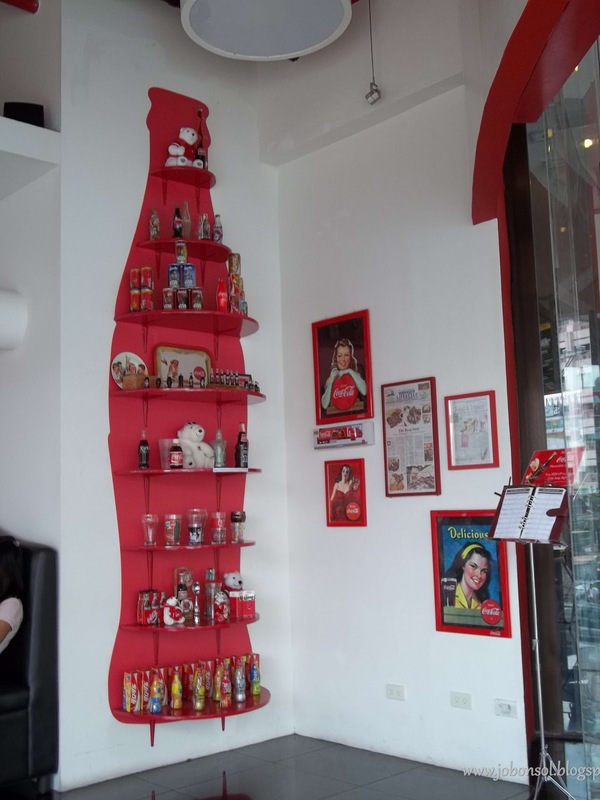 While my friend kept sharing stories about people I don't know, the wall beside the door of the resto caught my attention with so many Coca-Cola memorabilia. 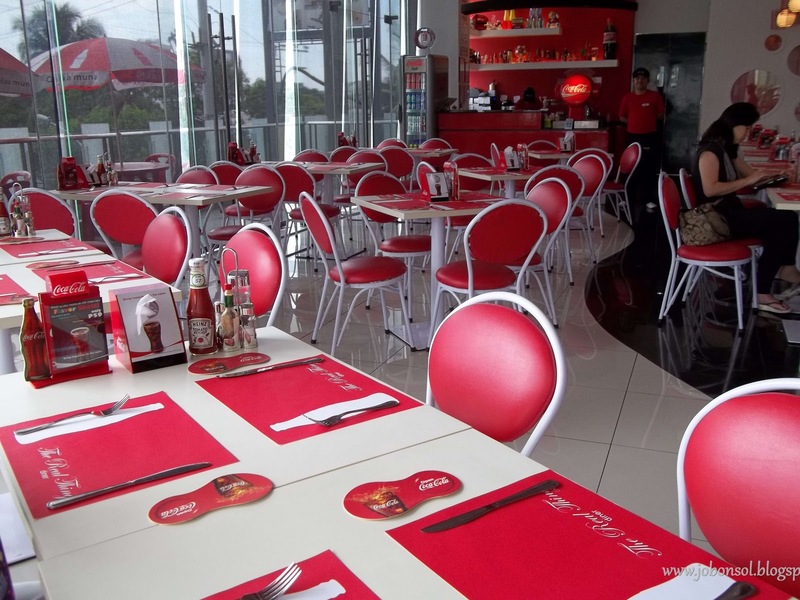 From plastic bottles and images of the former ads in print and some internationally-designed Coke cans and toys ,the Coke wall also showed the printed articles about the restaurant. We were approached by a waiter to help us order recommending the specialties of the house and we both agreed. Coca-Cola BBQ Burger (P249) and Sarsi Wings (P199) were our choices although we were still too full from the lunch we had at the meeting. 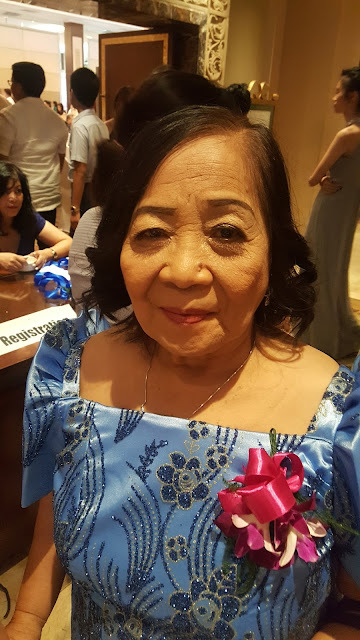 The beverages offered included interesting Coca Cola Non-Alcoholic Drinks like Cinnamon Snifter (P99) which we were both excited about because it has Coke, Sarsi,Cinnamon and Vanilla Ice Cream. The urge to eat in this restaurant was about my late father who used to finish one Coke Litro bottle in one sipping when I was young. I thought of celebrating his birthday although he's been dead for 15 years and I'd want to keep those memories sharing the things he loved to my friends. My father would probably be so happy if I had brought him here. Anyways, when the food arrived, my friend and I gasped at the presentation. 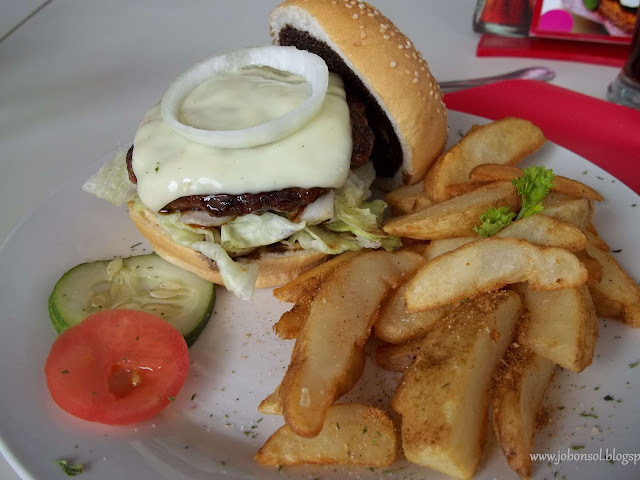 The vegetables on the side and those freshly-made potato wedges were perfect with that mouth-watering cheese on top of the huge burger patty. The burger was huge so we had to cut them in half. 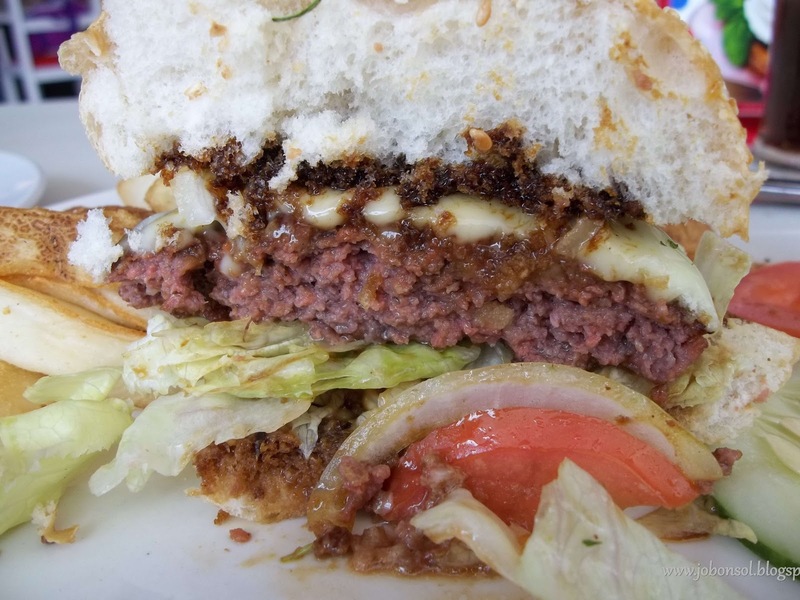 The vegetables were fresh and crunchy, the meat was tender and really flavorful with the bun smeared with Coke and BBQ sauce to complete that unforgettable burger experience. It was really delicious and quite hard to get it out of my head after that experience. 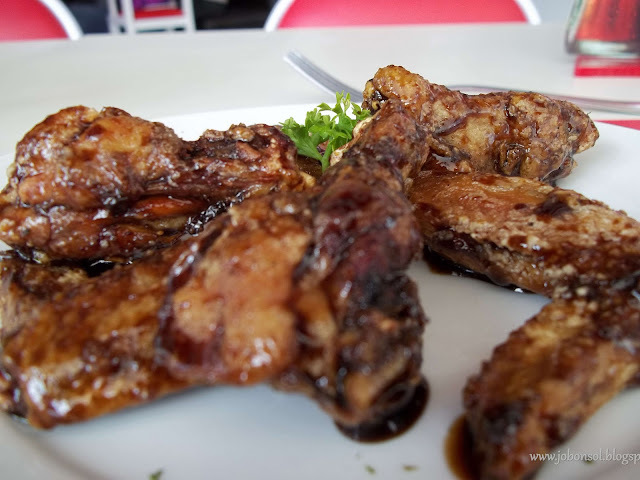 The Sarsi Wings (P199) was deep-fried chicken wings with sweet and spicy sauce seemed to small for the price but the kids may prefer them in this diner. I may have eaten and cooked so many chicken wings that I'd love the serving in tender and not dry presentation like what was served here. My friend and I really enjoyed the Cinnamon Snifter (P99) drink and I can't wait to try their tasty Flavor Shots (P65) next time. 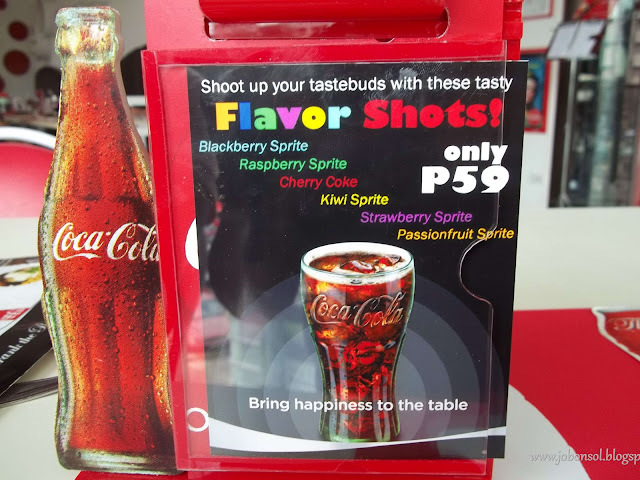 It looked interesting with fruits and Sprite combined. It was one unforgettable meal without my dad and I plan to celebrate visiting The Real Thing Diner again with friends who loves Coke. What's your cherished memories about Coke?